Kory Floyd's approach to interpersonal communication stems from his research on the positive impact of communication on our health and well-being. 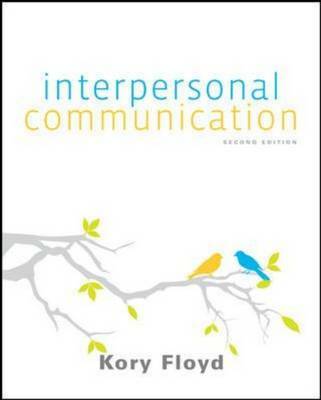 "Interpersonal Communication, 2/e" demonstrates how effective interpersonal communication can make students' lives better. With careful consideration given to the impact of computer-mediated communication, the program reflects the rapid changes of the modern world in which today's students live and interact. The program also helps students understand and build interpersonal skills and choices for their academic, personal, and professional lives.